Current trends have seen homeowners take a proactive approach to energy efficiency and for good reasons, too. Increasing the efficiency of your home is good for the environment, enhances the quality of life (we’ve all heard “keep the A/C in the house!”), and ultimately, saves money in the long run. 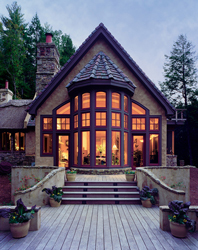 If you are in the process of increasing the efficiency of your home, check the windows in your home. If your home contains a drafty window or two, this could be a sign that they need to be replaced (replacement windows can save approx. 30-40% off an energy bill). As windows age, they can warp and bow resulting in a breakdown of the installation materials that protect your home from the elements (After all, without the window, you are left with a big hole in your home. It’s best to cover it with the best material possible.). 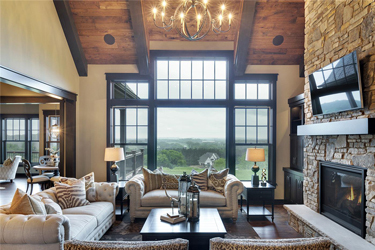 What is it about windows that benefit the energy in your home? 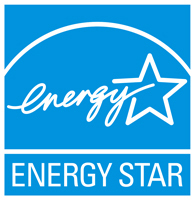 According to Energy Star (a program by the EPA to assign certifications to consumer products that meet energy efficient standards), there are 5 factors that windows have that make the home more efficient. Quality frames are durable, have low maintenance, and most importantly reduce the heat transfer, which improves home insulation. Some common frame materials are fiberglass, vinyl, wood, and composite. They each have their own insulation benefits. Vinyl: offers good moisture resistance and thermal performance, but expands and contracts. Composite: consists of vinyl and wood composite (shavings) that offer moisture and decay resistance. 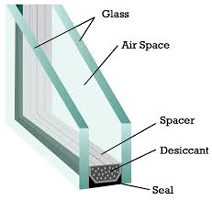 In between the glass panes, some windows are filled with gases such as argon, krypton, and others that offer better insulation than regular air. The gases are odorless, colorless, and non-toxic. 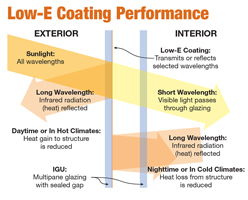 Low-E glass is a special coating that reflects infrared light and damaging UV light. This means the glass pulls the sun into your home in the winter to help heat it but blocks the sun in the summer to keep your house nice and cool. This UV protection ensures that your interior furnishings and wall art will not become faded and distressed from the sun. A spacer ensures that panes of glass stay the correct distance apart. Materials such as non-metallic and metal/non-metal hybrid spacers can be used to increase insulation benefits of the glass pane edges. 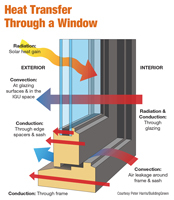 This ensures heat transfer through the window stays to a minimum. Thank you for checking out the first part of our 3-part series. 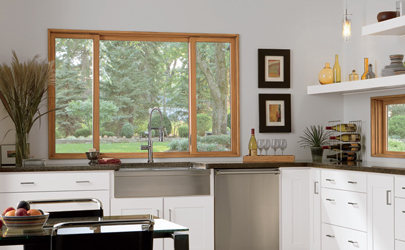 Next week we will go into using windows to increase the natural light in your home.